Sanford365 started in September of 2008, as a project of taking 365 pictures of the life of Claudia Mundlos, Realtor and neighborhood specialist with Charles Rutenberg Realty in Sanford, FL. 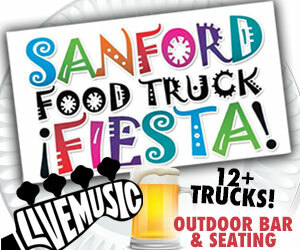 The Sanford365 Project reached its next level in 2010: providing useful information about the events, restaurants/bars, local businesses and things to do in Sanford, FL while connecting its residents through an active community on Facebook. This page is also ideal if you are looking to move to Sanford, FL. The fun neighborhood guide offers insights into the many neighborhoods of Sanford and answers the burning question: How is it to live in Sanford, FL? Never miss a thing in Sanford and join over 4,800 happy subscribers. Receive free event preview and recap newsletter every Thursday. Find the best events in town and make plans for your weekend and upcoming week. Know what’s happening in town – all the details at your fingertips. Visit your app store and search for “Sanford365”, then download the app for free to your mobile device!